One of my favorite scenes in the Taipei area, ChiNan Temple. 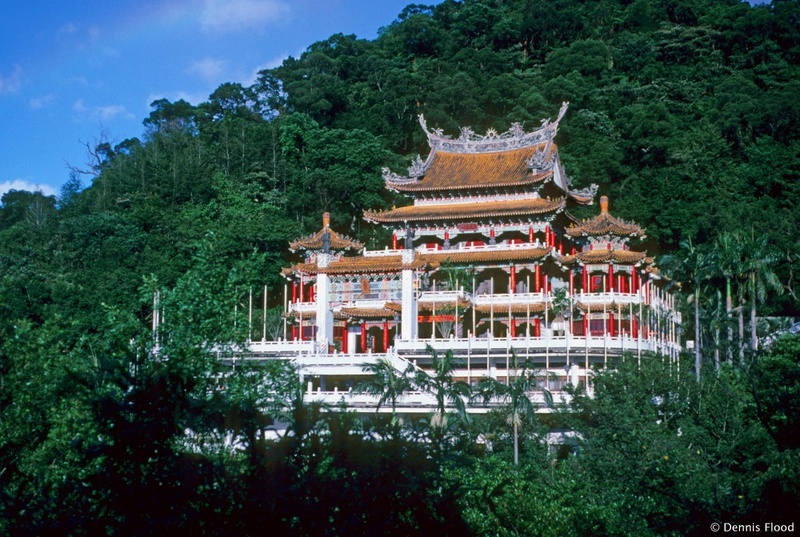 The beautiful temple honours Taoism, Buddhism and Confucianism, and is found near Mucha in the Wenshan District. The somewhat ethereal colors come from an aged roll of Kodachrome film.